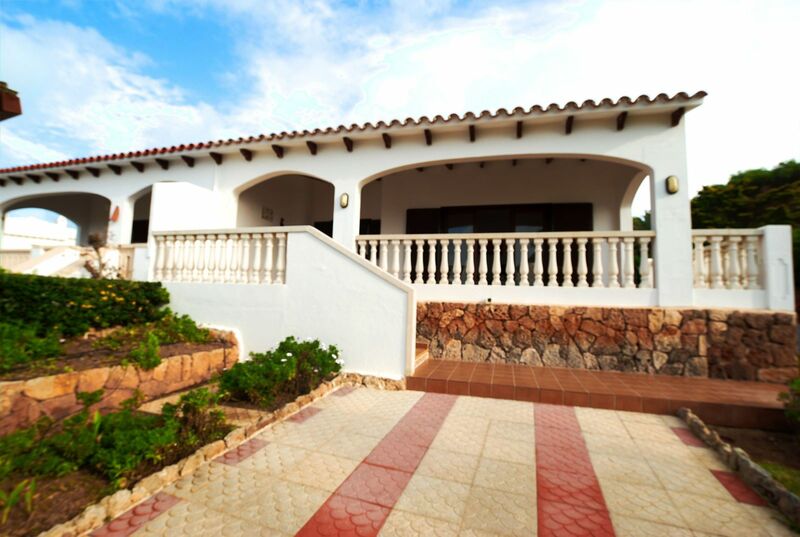 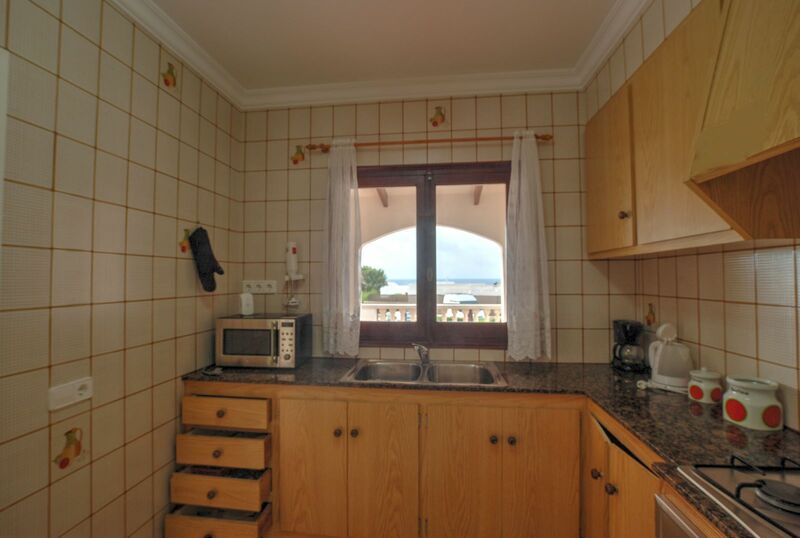 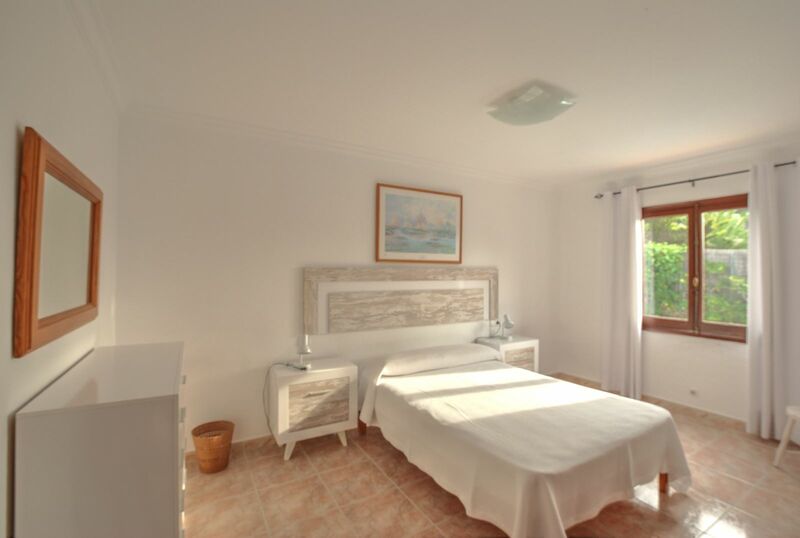 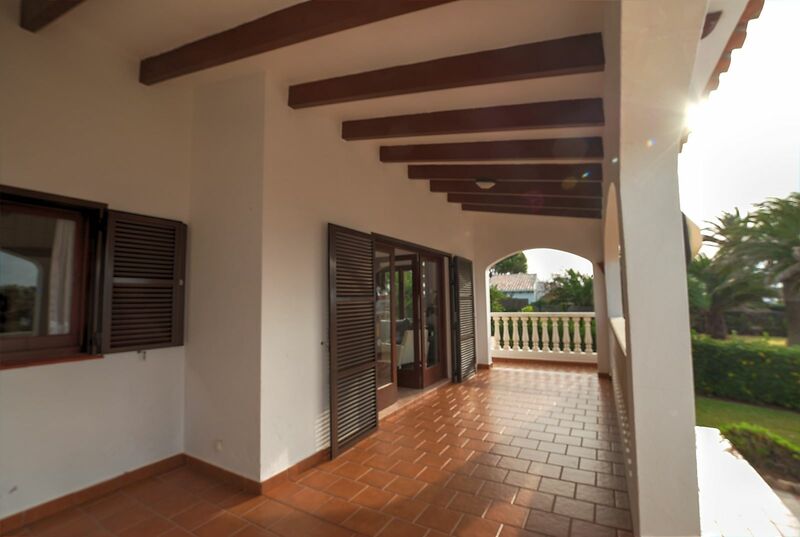 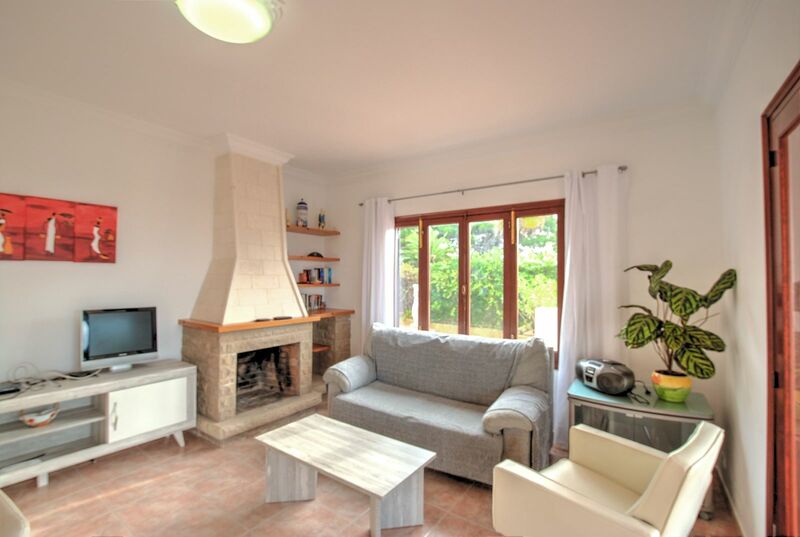 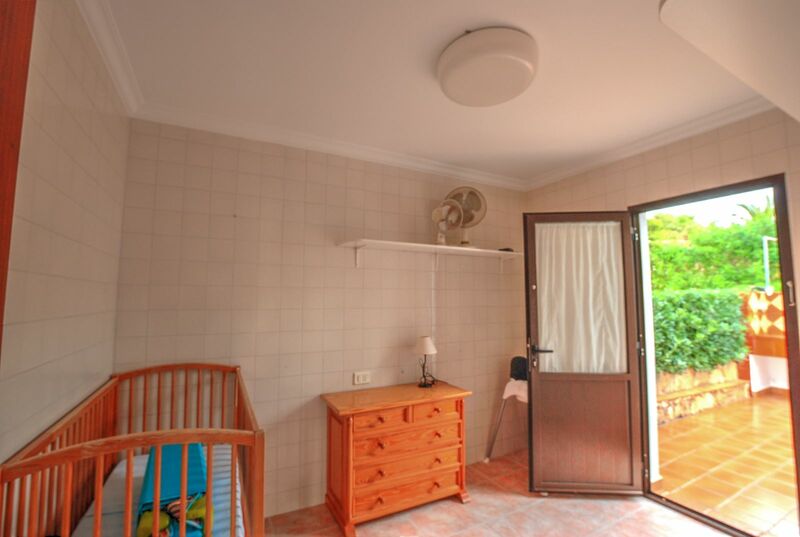 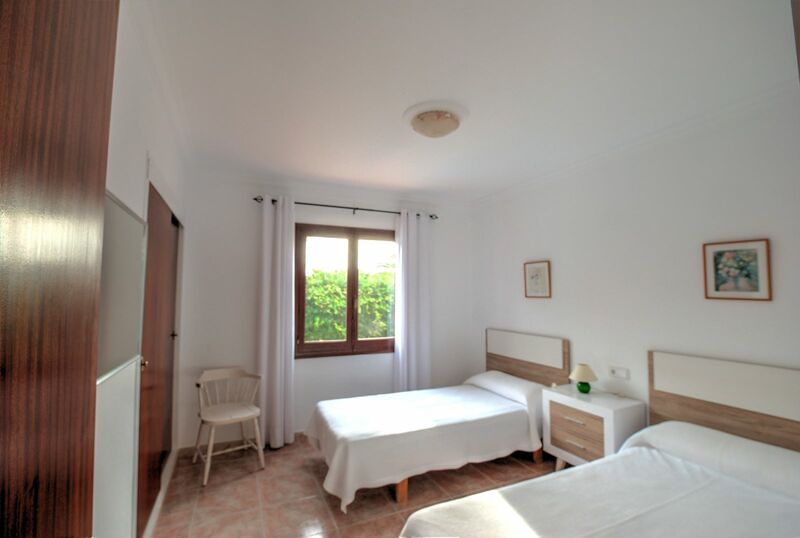 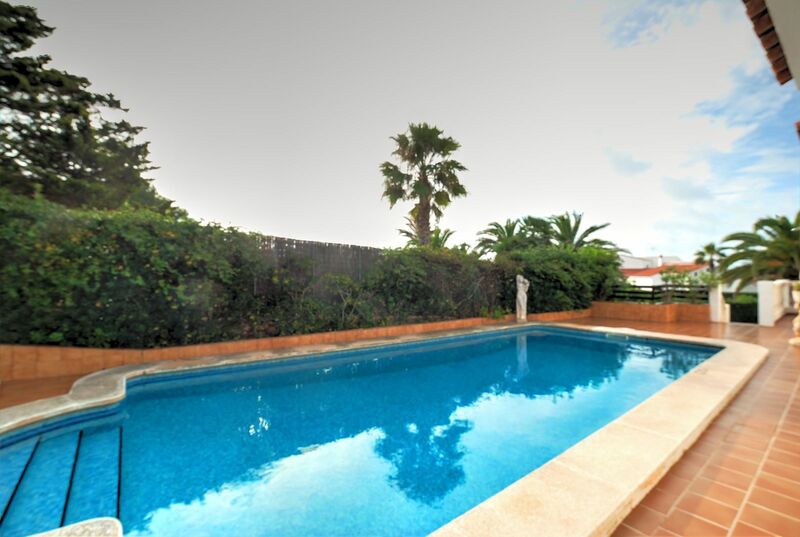 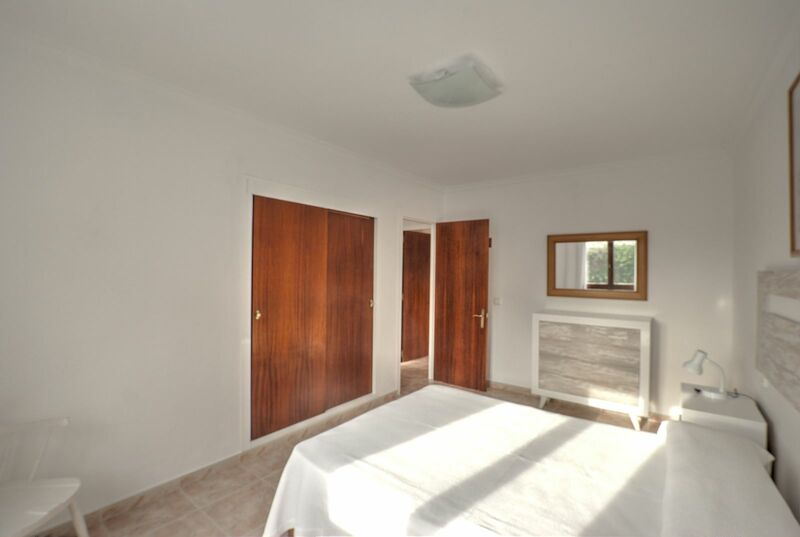 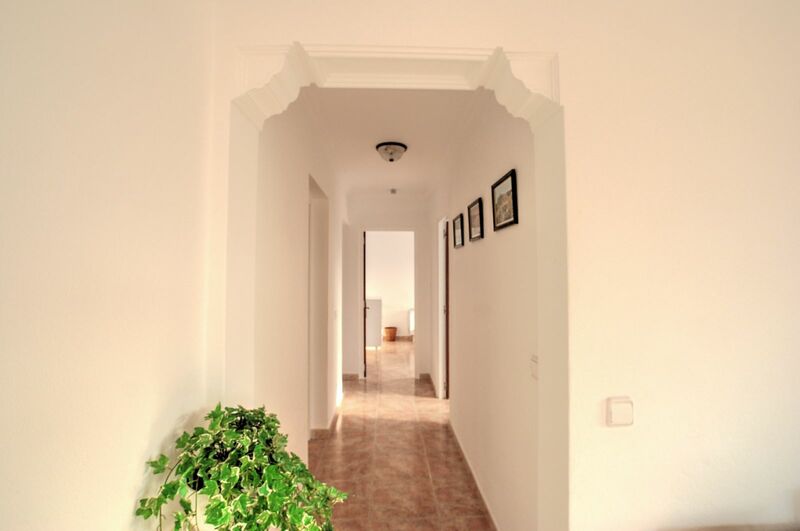 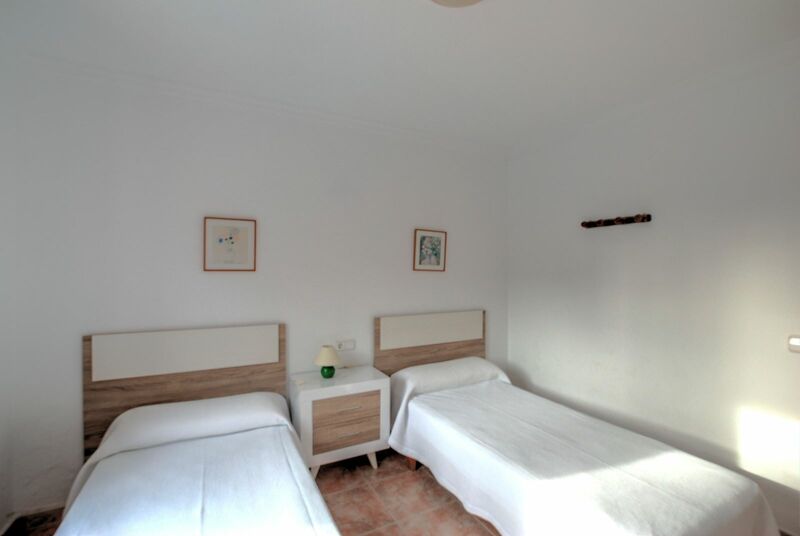 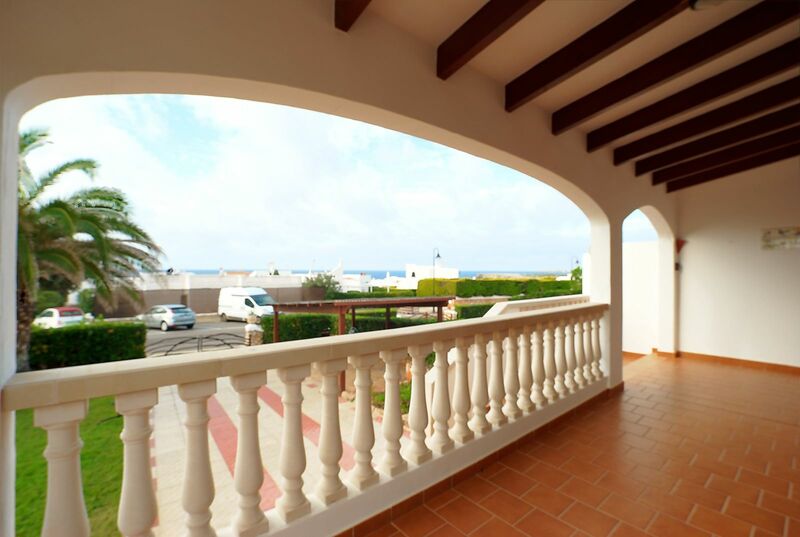 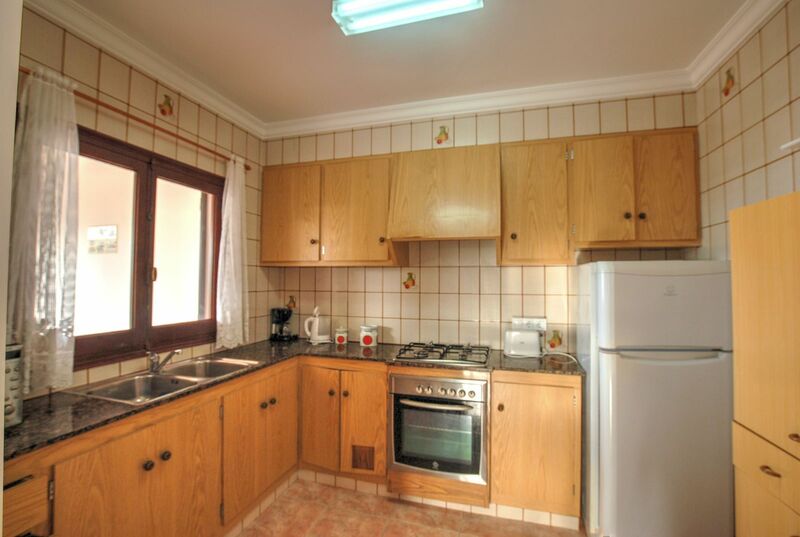 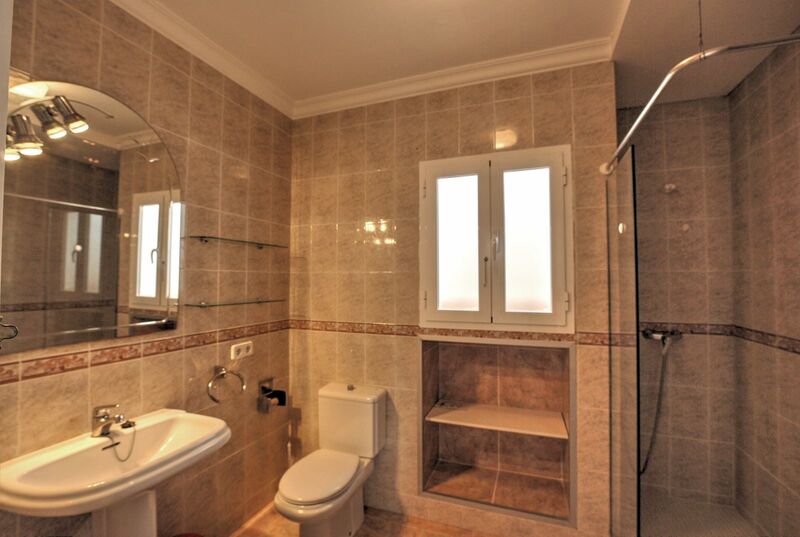 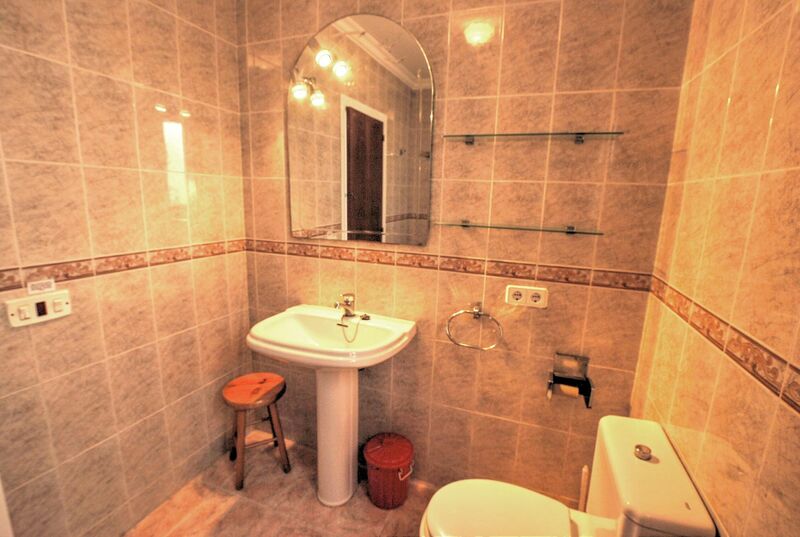 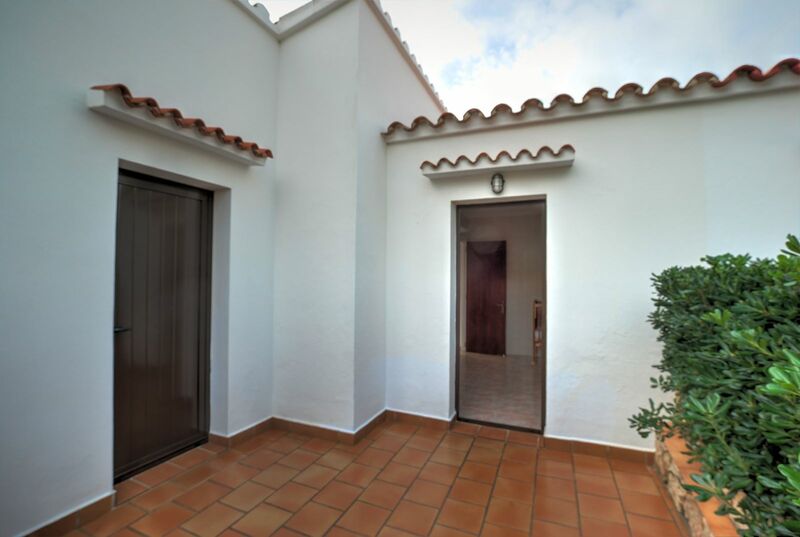 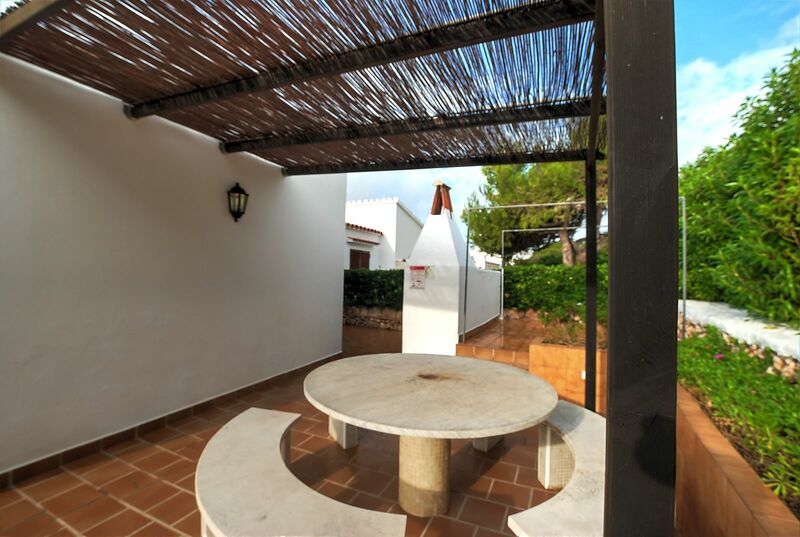 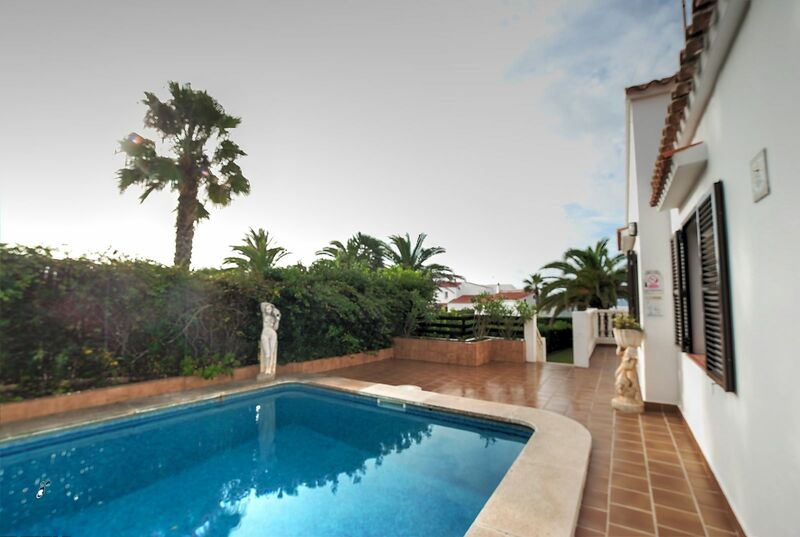 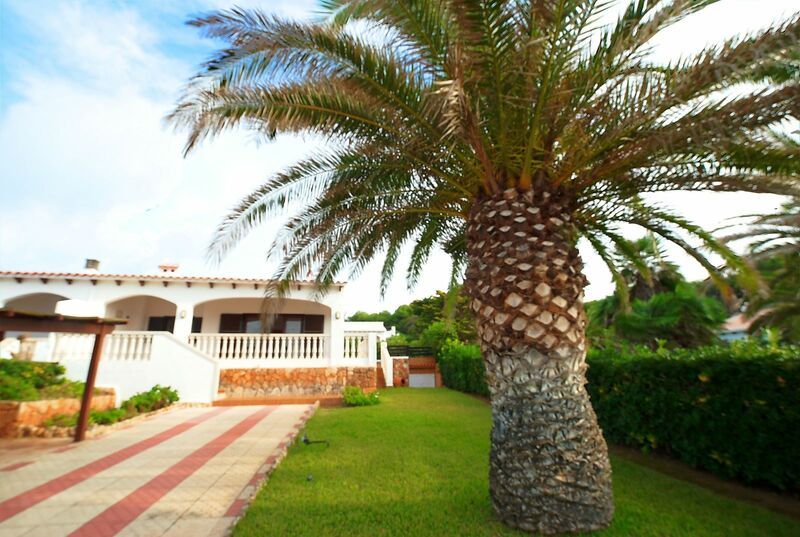 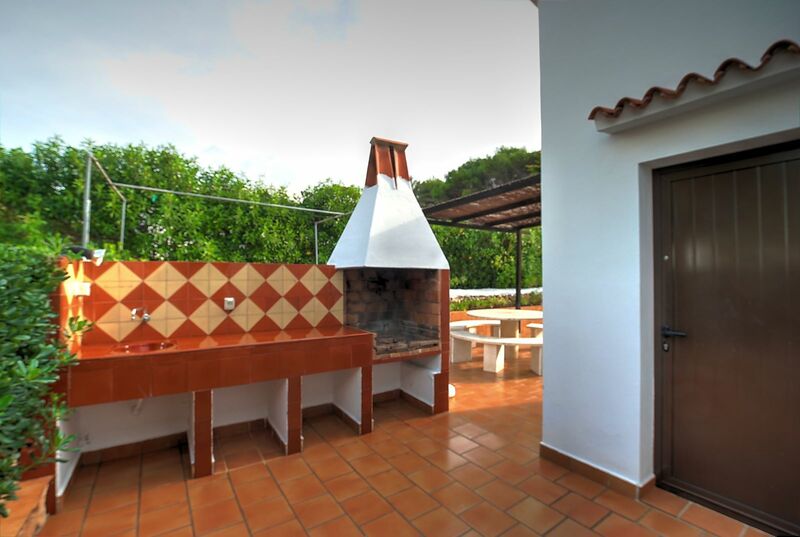 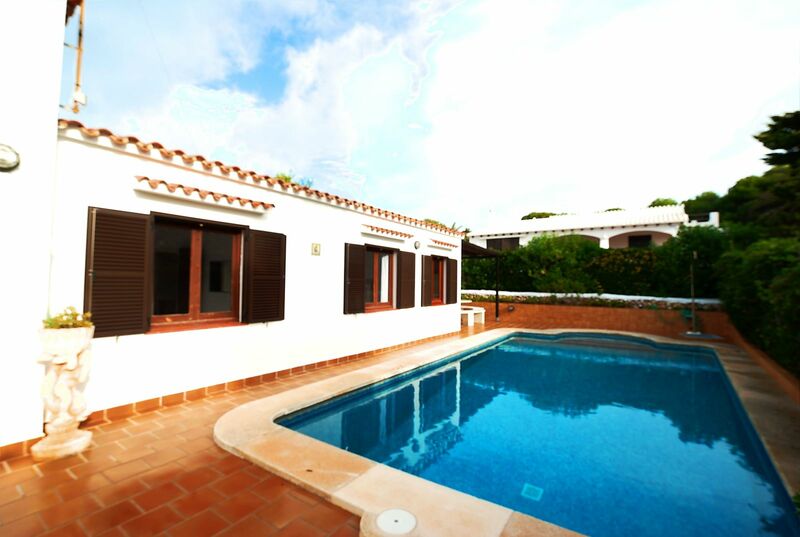 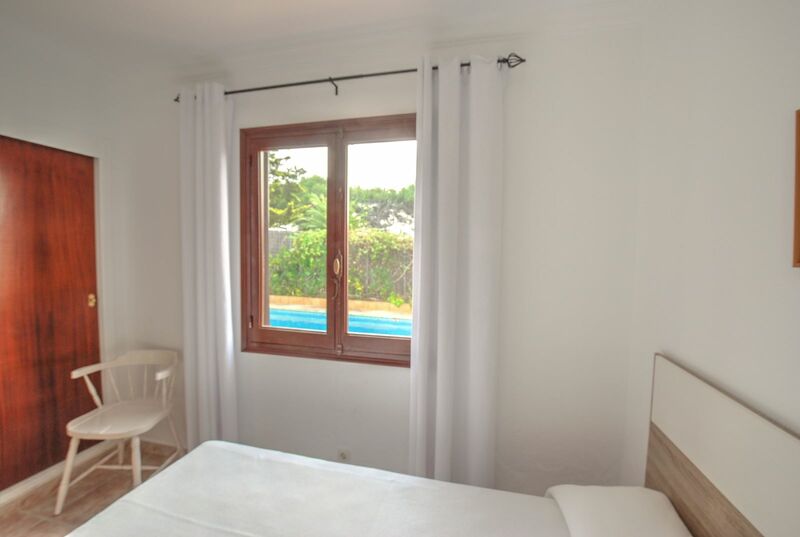 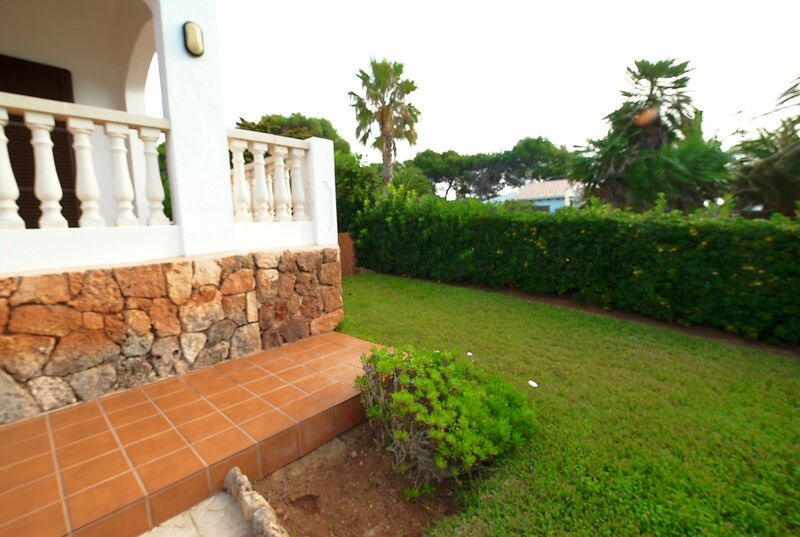 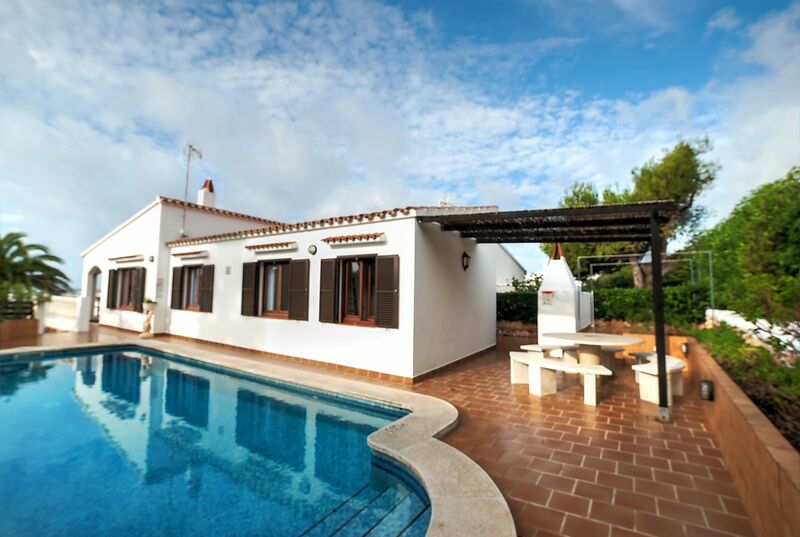 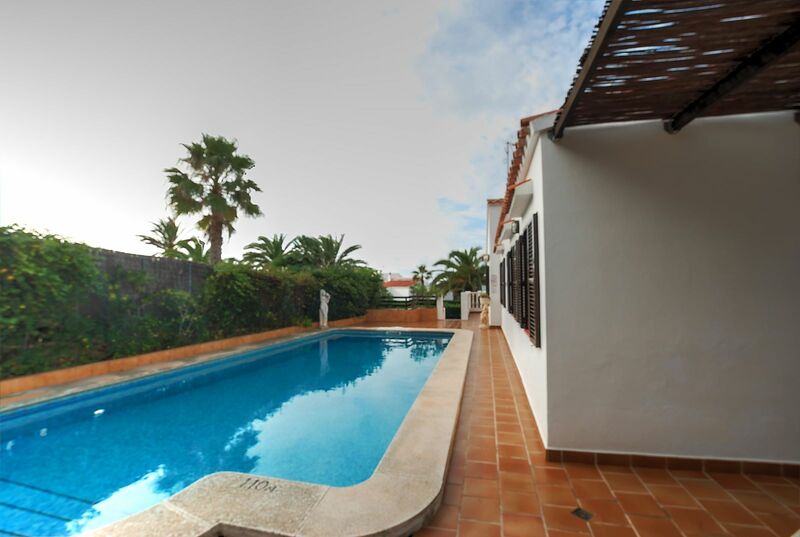 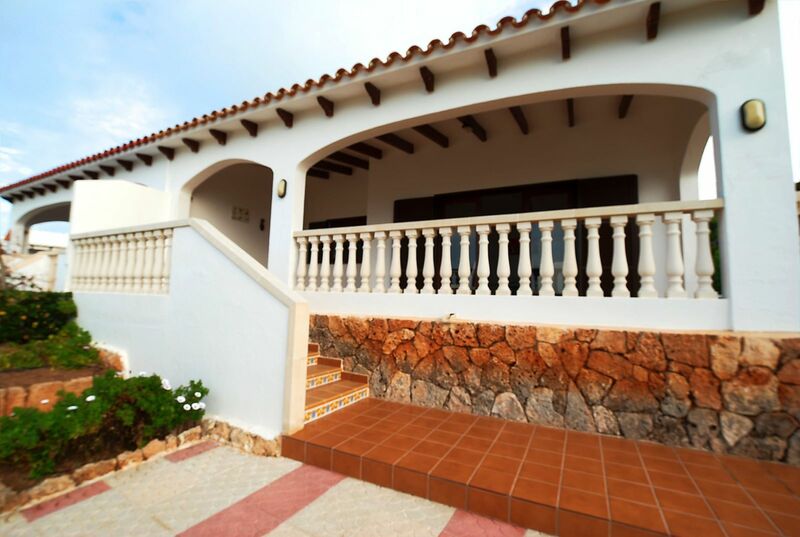 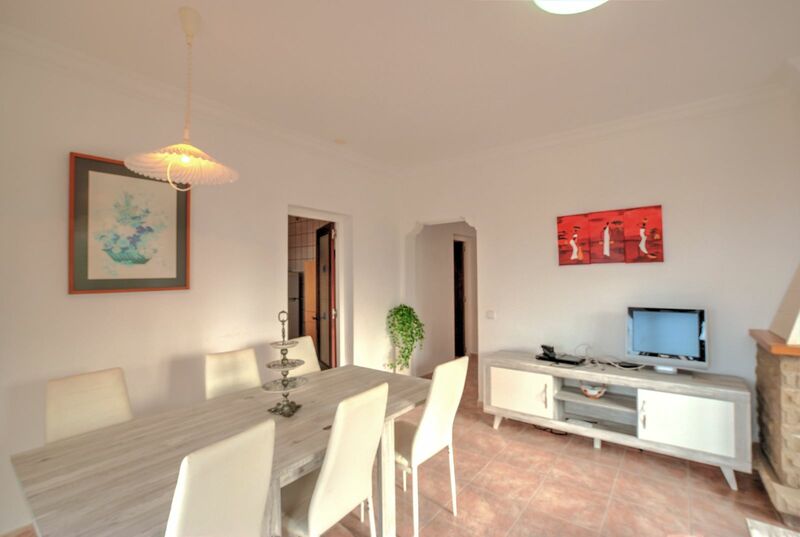 Semi-detached villa with sea views in Binibeca Vell. 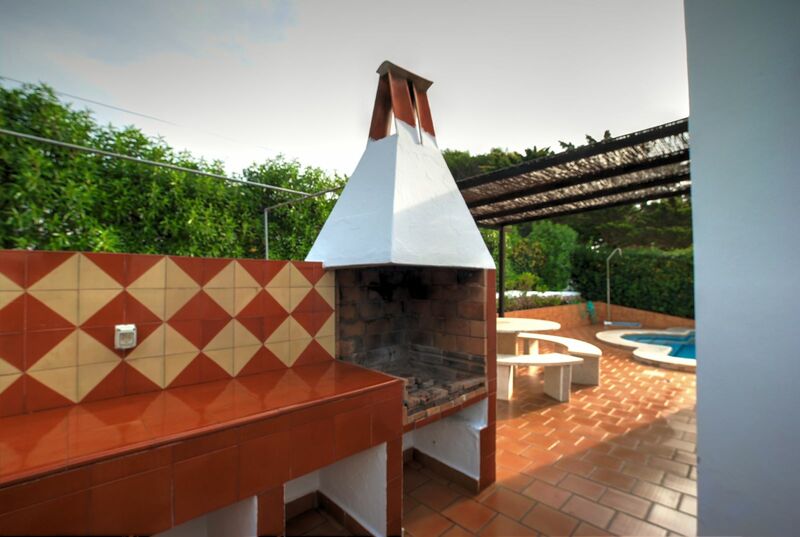 This property is surrounded by pleasant gardens, covered terrace, barbecue area, outdoor terrace and pool. 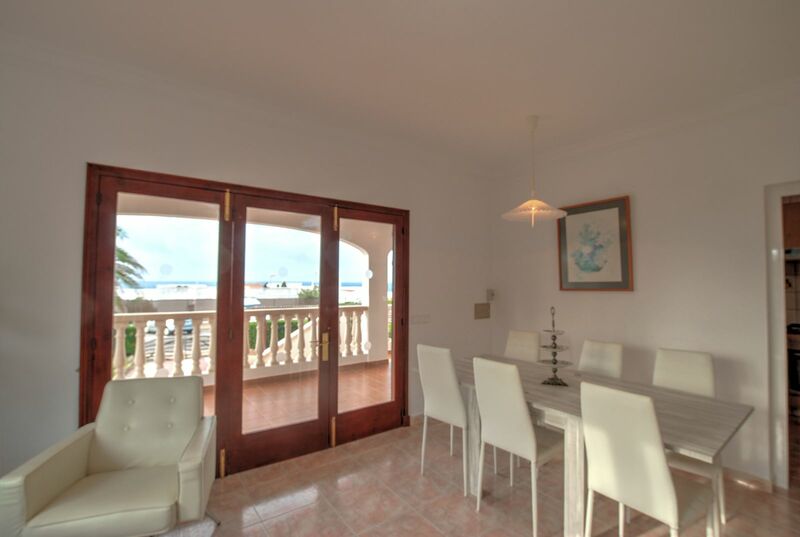 Entry to the villa is into the living-dining area with fireplace and leads to a large independent kitchen, all with sea views. 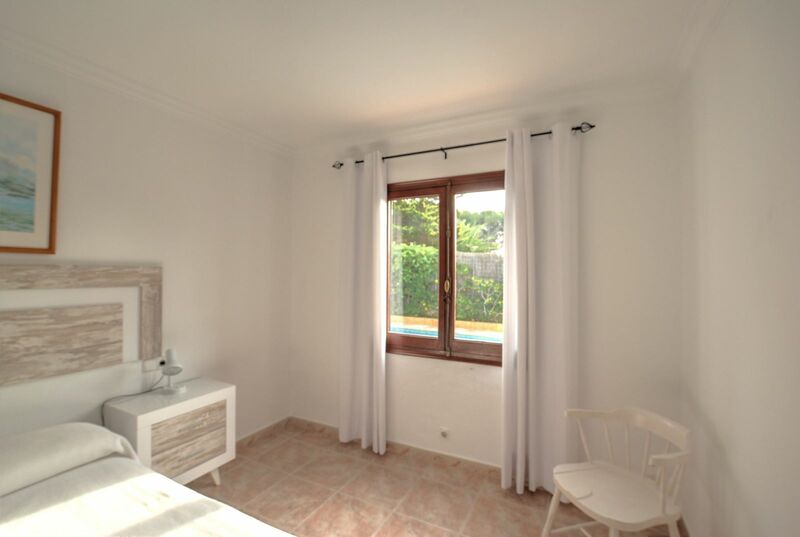 From the hallway, we access the two double bedrooms with fitted wardrobes, full shower room, store room or third bedroom with access to the rear terraces. 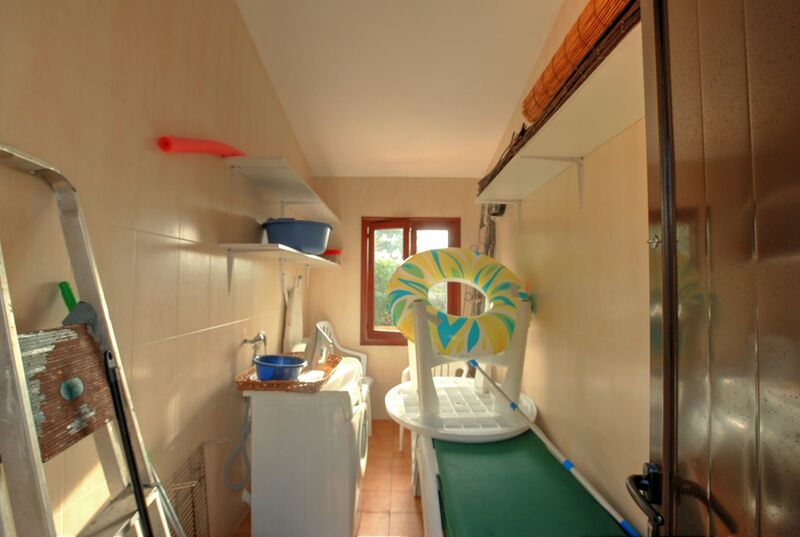 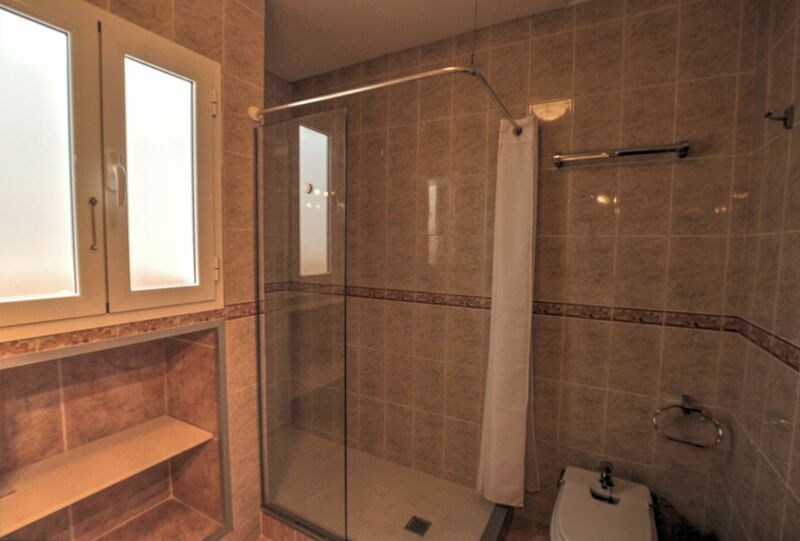 It also has a laundry room with enough space for storage. 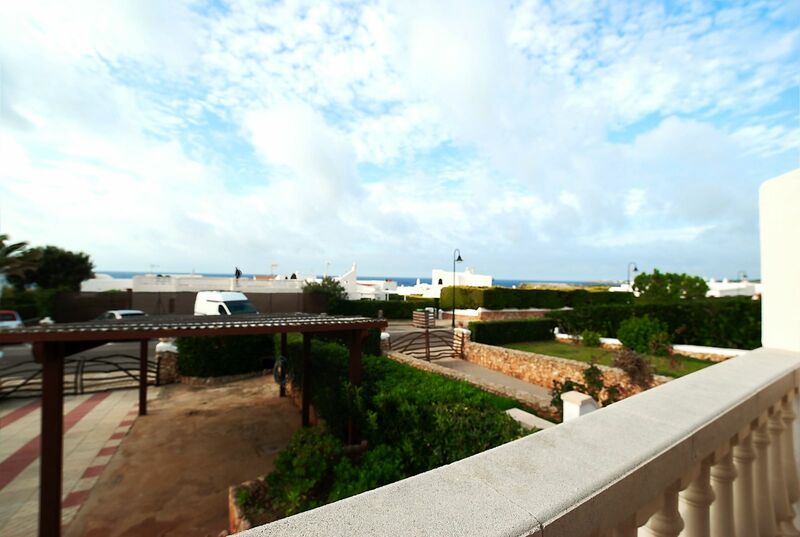 Outdoor parking area. 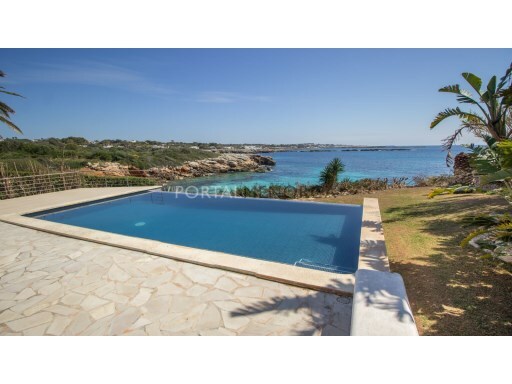 This attractive villa is located a few steps from the beautiful coves and the picturesque fishing village of Binibeca Vell, will be sold fully furnished with a tourist rental licence in place.